signup for a free trial. Have you heard of URL shorteners? You might wonder what they are good for. Let’s say you write an article for a publication. Maybe an academic journal or a blog or some other periodical. You might want to add that article to your CV or share it in an email. But generally speaking, URLs for articles are inordinately long. They can look unsightly and can often be confusing particularly if they cause a line break. 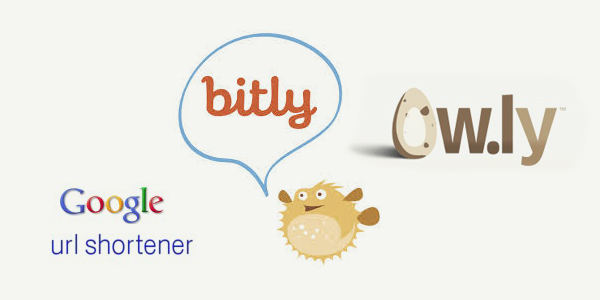 Enter bit.ly, ow.ly and goo.gl. They all shorten URLs for you. How? Just visit any of them, and paste your long URL in the field provided and voila! You’ll be given a succinct URL that will still point to the same location on the web. All 3 services are free and easy to use. But not all shorteners are created equally. Bit.ly does much more than the average URL shortener by giving you data about how many people clicked on your link, where they came from, when they clicked, what day, what time etc. This is particularly useful because its very hard to get stats about other people’s websites. If you share a link on your own website, you can look at all sort of stats via Google Analytics or any number of other stats packages. You can see if people clicked through from Facebook or an email or any other source. But bit.ly lets you gather data about all the content you share from other people’s websites. That content might be an article you find interesting (whether or not you wrote it) or something as simple as a funny photo. What are some other instances you might need a shortened URL for? If you’re on Twitter (or thinking about getting on) it’s an absolute must. With a 140 character limit, you don’t have space to spare. Facebook, forums or any other sort of social media is also perfect for bit.ly not just for the space savings, but for the stats. These stats tell you which of your links people are clicking on. So if you’re sharing content on social media, this can be very insightful. Obviously you want to share content that people are interested in and by using bit.ly, you’ll have the proof. Its also great for analyzing headlines. So, for instance, you might have shared the same URL but with a different headline in an email vs on a list serv. If one of them is performing a lot better than the other, (pending the audience size for both is relatively equal) you’ll know it’s performing well not because of the content itself, but because you got people to click by using a great headline. In order to use bit.ly, you do have to sign up, but it’s free. Once you’ve created a few links, you’ll see a dashboard showing you all of your links in chronological order. This is very top-level data. But if you drill deeper it gets even more interesting! You can break down the time period to “All Time”, the last hour, last 24 hours, 7, 14, or 21 days. You can also view hourly breakdowns from any particular day. So let’s say you got a lot of hits on July 21st. You can click on that stat and see what time(s) of day people clicked on your link on that day. This could be helpful if your link was an email that was sent at 10am. If most of your clicks happened after 6pm you’ll know your recipients are waiting until after work to check their email. Helpful information. You might share the same link in multiple locations. Let’s say you shared the link in 3 placed: an email you sent out, and your own website, and in a forum you visit to speak with other colleagues. Bit.ly will let you see which source got the most clicks. You might be surprised to see how many people from different countries are clicking on your links. If content is good, people like to share it. Knowing who shared your links is power. If you’re seeing a particular person doing a lot of sharing, you could reach out to them, send them kudos, or create a business relationship. Obviously you can also share the same link over time—and by that we mean even years. So let’s say you’re sharing a link to your favorite top 10 list of health tips. Maybe you didn’t even write the list, but you think its valuable and you continue to share it whenever someone talks about some health issue they are having. As long as the links it points to remains in place, you can continue to use the same bit.ly link ad infinitum. If you continue to use bit.ly, you’ll have a rich library of data. You’ll be able to see what worked (AKA what people were compelled to click on) and what didn’t. Ergo if you’re going to use a link shortener, you may as well make the most of your efforts. We think bit.ly is amazing!